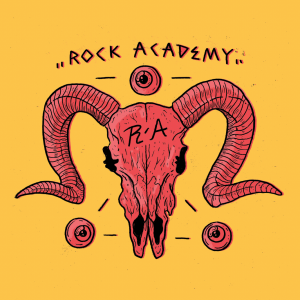 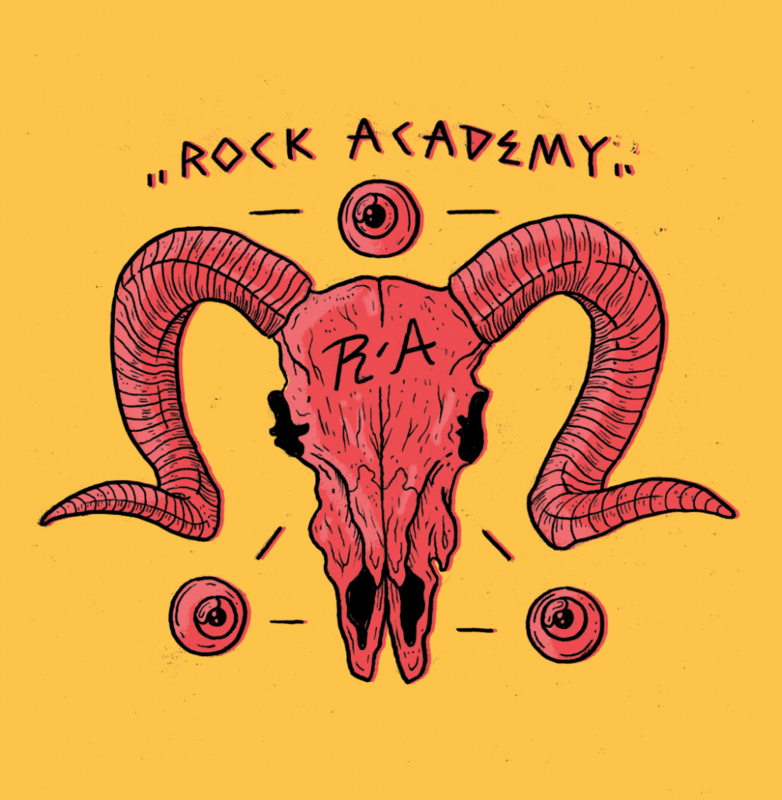 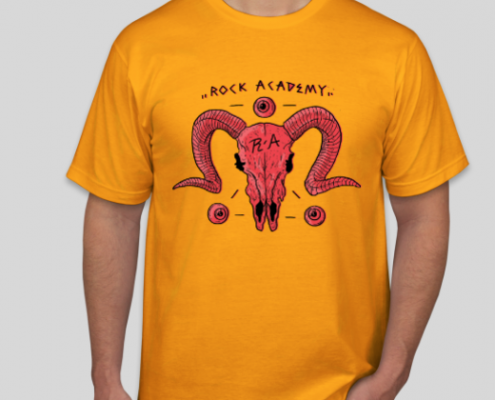 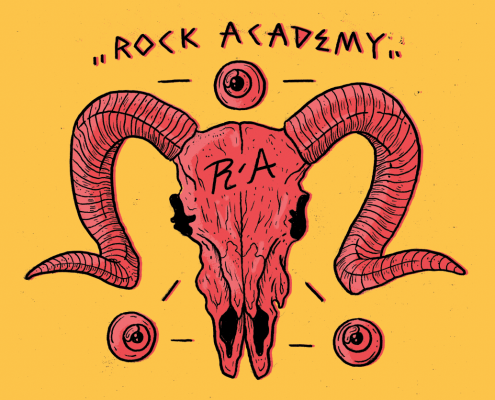 Rock Academy Limited Edition T-Shirt printed on Gold ASColour shirt. 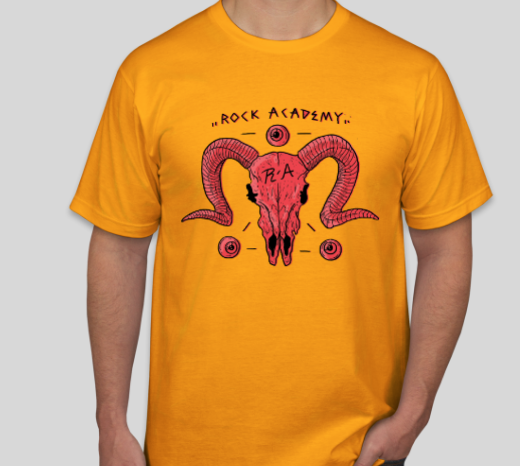 Only 75 available.  Designed by Melbourne artist – Luna Tunes.